HI, I just want to talk about Jazz's plan in this year. I mean, they came to our college for presentation and interview in April this year. HR person said that Jazz do not plan to hire any apprentice this year. they are looking for licensed AME. I did not understand why they came to our school for interview. Anyway, everyone had interview and now all passed candidates just put in their pool. and nobody does not still get any contact from Jazz. I have heard that one person who he graduated our college last year and passed all recruitment process this February. He placed in their pool as well and still waiting for their contact. It is a waste of time! I recommend you guys look for the other company. I am doing too. Re: Jazz does not plan to hire apprentice this year. If you have decided that it was a waste of time to do an interview because they didn’t decide hire you..... maybe it’s not the interview. Interviews are an important learning tool. Jazz came to your school and gave you an excellent tool to learn from, it’s not their fault if you choose to use a pair of pliers as a hammer! This year is 7 month in already, possibly more if Jazz was using a fiscal year for that statement. Hiring pools are how these big companies work to generate applicants so they can pick people that will best fit their crews, their company image and desired image, have attitudes they prefer.... don’t discount a hiring pool process. And finally, there are plenty of AMO’s hiring. Get looking beyond Jazz! Please visit my profile for some great career advancing opportunities! Jazz has more than enough apprentices right now it's like babysitting kindergartners in the hanger. What Jazz needs is proper M2 AMEs but they aren't willing to pay for it. Talking to some of the Sr guys in the hanger they are really really frustrated with how they have to babysit 10 apprentices a shift. Everything takes twice as long and were seeing the ripple effect on line with many issues just being reset instead of fixed. Look in the log books and you can see a lot of reoccurring issues 5+ times in a month that just get reset. It's ridiculous. Sounds like NSCC to me... They always come in and say Jazz will hire all of you! but that's usually isn't the case. I was in the same boat when I graduated, had all recruiting files complete all I was waiting for was the call to tell me when to start... but it never came. A handful of apprentices got on about a year and half afterwards though. 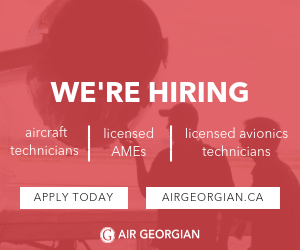 Theres a lot of work in Canada for aircraft maintenance, go get some experience and then they will consider you a lot more!